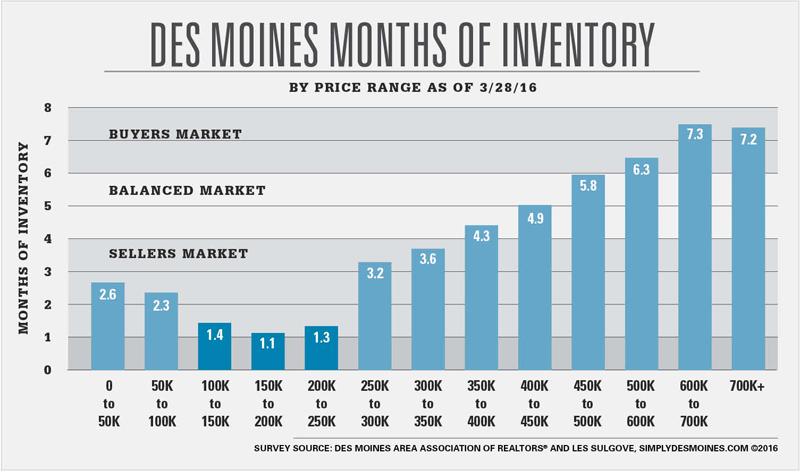 As the first quarter of 2016 comes to an end, Des Moines home sellers have seen buyers out early and anxious to buy. With a listing inventory that has been on the decline since 2008, homes coming on the market are going under contract at a record pace and at higher purchase prices. The average sale price during the first quarter of this year is up 7% over last year at $191,446. An early end to a mild winter has been helping this activity, allowing buyers to get a jump start as early as the end of January. With the cost of borrowing money so low, home buyers are also qualifying for higher mortgage amounts. For the past 7 years, home inventory levels have dropped consistently each quarter. 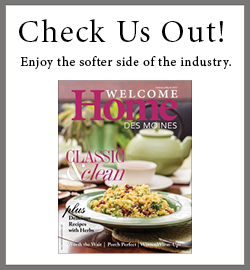 The Des Moines real estate market is currently hovering at an all time low of 3,000 homes. Accepted offers, referred to as Pendings, are up 25% over last year with 2,700 transactions in the closing process. The first quarter of 2016 saw 180 new listings per week come on the market and 280 homes per week going under contract. Why call it the imperfect storm? As discussed in the past, the three types of real estate markets are: Buyers Market, Balanced Market, Sellers Market. We are deep into a Sellers Market with just 2 months of inventory available for buyers to choose from. I believe that this is causing an unsustainable rise in home values and even more concerning, causing buyers to make home purchasing decisions based on fear of loss. A buyer client of mine recently said, “I’m finally ready to buy a home and I’m in the worst market ever to do so.” From his perspective, he may be right. As the number of homes for sale continue to dwindle, we are seeing a tightening of the market where demand is not generating supply. This is causing many home sellers to be reluctant to put their home on the market because they fear they won’t be able to find a home to move to. As a result, we are heading toward a standoff situation of fewer and fewer properties for sale and buyers stacking up waiting to buy. This is most evident in the $100,000 to $250,000 price range where currently there is just over a one-month supply. This is also the price range that home buyers are competing frequently in multiple offer situations. The best solution to alleviate this deadlock is to increase the number of homes for sale in the price point of under $250,000. As buyers in the lower price ranges begin to feel less pressure of finding their next home, sellers will also begin to jump into the market. It won’t happen overnight, but if we would experience an influx of additional homes for sale under $250,000 in the next 30 days, we will see the months of inventory rise back towards a more balanced market. And a balanced market favors both buyers and sellers.